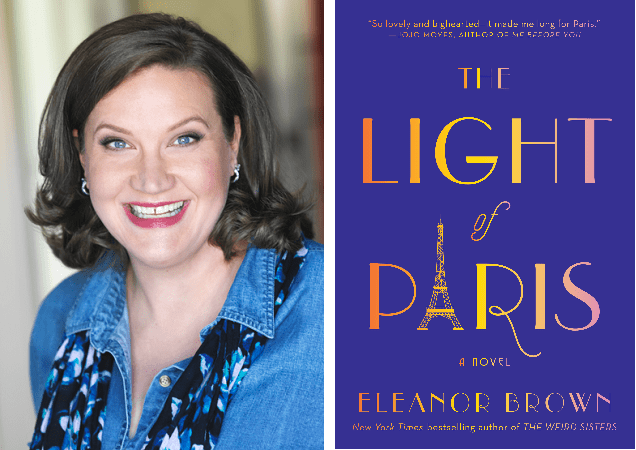 Eleanor Brown is the New York Times and international bestselling author of The Weird Sisters, The Light of Paris, and WOD Motivation, and the editor of the forthcoming anthology, A Paris All Your Own: Bestselling Women Writers on the City of Light. She has served as a judge for the Barnes & Noble Discover Award, The BookLife Prize for Fiction, and the Amazon Breakthrough Novel Award. Her writing has also appeared in anthologies, magazines, and journals, including The Washington Post, Publishers Weekly, and The Guardian. Eleanor lives in Colorado and teaches writing workshops across the country. Kris: If you didn’t gather this from me already, I’m a huge fan of your work, and I’m thrilled you’re letting me ask you questions about your revision process. 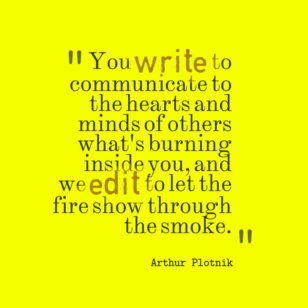 Do you edit as you write or do you plow forward at full steam, letting words and punctuation fall where they may? I do know writers who have to edit as they go, and as long as they can do that and move forward, I say more power to them. So much of writing is figuring out what works for you and what works for you now–it’s not necessarily always the same, from project to project or even day to day. But for me, I just try to cattle drive my way through a first draft. Shannon Hale has a great quote about this. She says, “I’m just shoveling sand so later I can build a sandcastle.” I like to get all my sand shoveled and then worry about building the castle. Kris: I love that. And when you’re ready to start checking the structural integrity of that castle and making your design choices, what is your favorite editing methodology that you’ve learned along the way? Eleanor: I do multiple “passes”–starting with big stuff and working my way down. 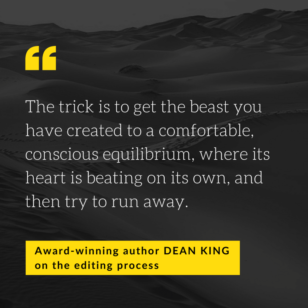 This is the magical secret to editing a book-length work. I work with a lot of writers who just start reading and rewriting as they go, which means they’re really just doing line editing–ending up with pretty sentences but no improvements in story or character. I start really high-level with story and theme, and then work my way down to the sentence level. By the end, I’m doing tiny things like using the “Find and Replace” feature to look for overused words and triple-checking that I really did get the name of that street spelled right, but I have to get the story where I want it first! Kris: Characters are sometimes one of the hardest pieces of a story to edit, and your characters are so alive. Each is unique and fully-themselves. 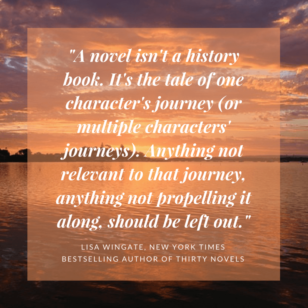 How do you edit your writing when it comes to your characters? Eleanor: I do multiple passes for characters–I might go through once and just mark out their goals in each scene and what gets in their way. Then when I’m satisfied with that, I’ll go through again and look only at their dialogue, for instance, to see if they’re speaking consistently….or maybe too consistently. Again, those multiple passes really are helpful to allow me to focus on one thing at a time. Eleanor: When it’s done, of course! I don’t know…each part has its benefits and drawbacks. Outlining is fun because you’re just playing, and everything is better when it’s in your head, but hard because there are so many decisions to be made. Drafting is rewarding because you can see measurable progress with word count, but painful when the words don’t want to come, or you realize you’ve gone down a wrong road. 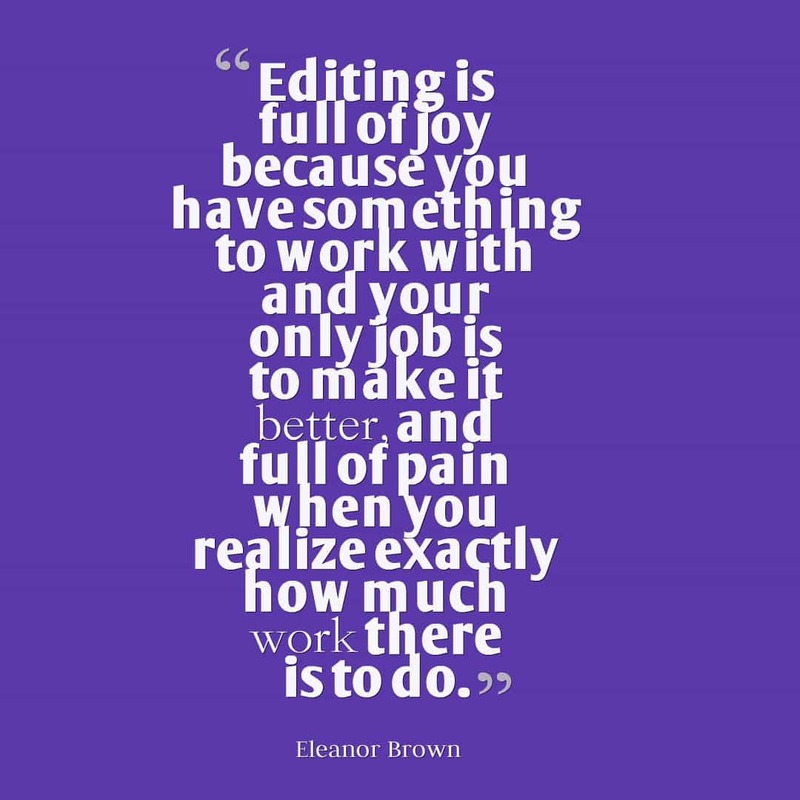 Editing is full of joy because you have something to work with and your only job is to make it better, and full of pain when you realize exactly how much work there is to do. Actually, now I’m wondering why I do this at all. Maybe I should just go work at Starbucks! Kris: No! (And this is where my editing background is holding me back from ten gazillion exclamation points!). I know you’re kidding, but you’re touching upon a theme I’ve heard again and again in this Authors on Editing series. Every step of the writing process can be arduous, but when you push through it, amazing things can result. One last editing question for you: do you have any grammar mistakes that bother you? Eleanor: I used to feel this way before I had a book published. Now I know how hard it is to get your arms around 300 pages of writing, and how the fact is, no matter how many talented and skilled pairs of eyes you have on something, we are all human and we make mistakes. I just can’t work up the energy to get upset about someone using “nauseous” when they mean “nauseated”–there are bigger things to worry about in the world. Oh man, that’s one of my favorite little-known subtleties to teach (ahem, see Get a Grip on Your Grammar for the difference). But Eleanor has a fair point. There’s a big difference in being a judgmental critic looking for details to nit-pick away at within a finished publication versus trying to help a writer catch those typos to give it a better chance of finding a publication home, or that better job, or that manifesto crafted to change the world. Not that “nauseated” vs. “nauseous” should be a word confusion on application cover letters, of course. Whether it appears in political responses is less black and white these days. 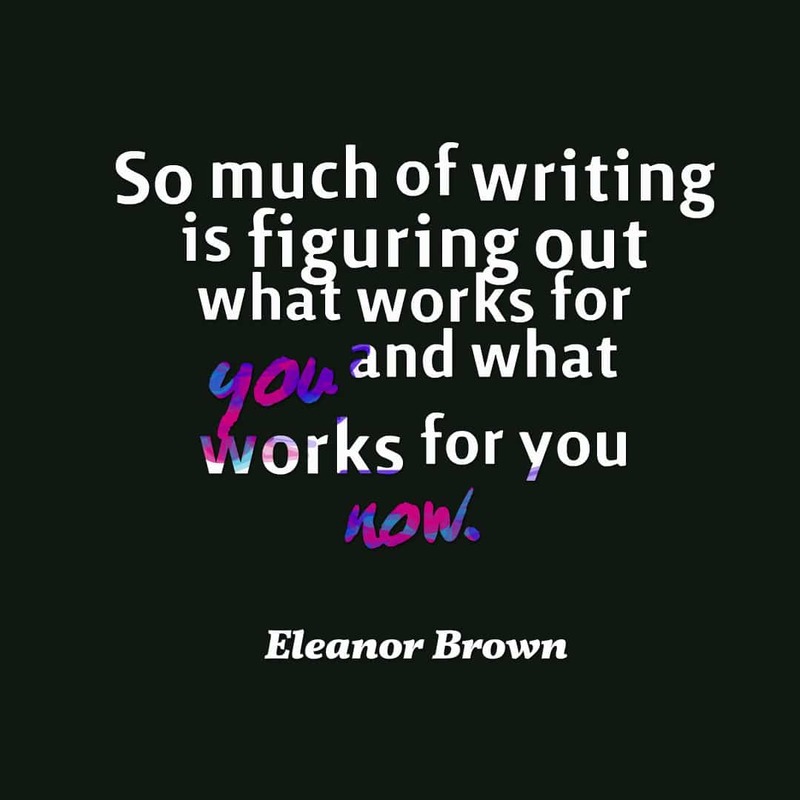 Thank you so much, Eleanor Brown, for taking the time to chat about your revision process with me, and happy writing everyone!